Old friends reunite when one of them is targeted by an unknown assailant. 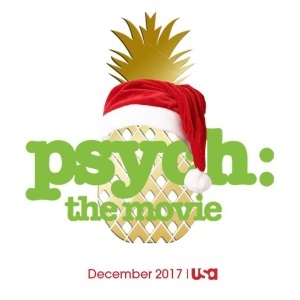 I guess Psych the series had pretty much wrapped up before Fanfare launched, but figured there should be a thread for this week's Psych special. I loved the series, though I thought it lost steam in later seasons as Shawn/Juliet seemed to take prominence over Shawn+Gus. I thought this special was pretty good, considering they had to rewrite the script to mostly remove Lassiter after Omundson's stroke. I mean, it wasn't as good as the best Psych episodes, but it wasn't as bad as the worst. As a delivery system for some good Shawn+Gus comedy bits (not to mention Woody), I thought it worked, and I hope they can knock out at least a few more. Watching the movie, particularly Gus and Sean's bits, made me realize how much I miss USA's Blue Sky shows. Sure, Psych and Monk were on the goofier end of things, but Royal Pains, In Plain Sight, White Collar, Burn Notice...all of those could lift one out of the doldrums, and surely could help us survive what's going on now. I felt the lack of Lassiter, as Omundson's been a fave of mine since Judging Amy, and my heartstrings were tugged during that short vid conference scene. Not seeing Chief Vick's husband, yet again, was a delight, as I thought perhaps I was the only one that had bothered, but I wish they'd better resolved the bully storyline. This was very stupid and I loved it. I can't stop laughing about Merle of Haggard. I agree, and hopefully we'll see a telemovie of Monk, and Dead Zone, and Burn Notice any day now. This was basically a 90-minute episode of Psych, and I loved every minute of it. I missed these characters. Watching it was like putting on my favorite sweatshirt that had been missing for the last few years and had suddenly resurfaced in the back of the closet. "I'm Burton Guster, and this is my partner, White Privilege"
I haven't watched the movie yet because I wanted to rewatch the show first, but it hasn't been available to stream anywhere for a couple years now. However, last night I noticed that all eight seasons are on Amazon Prime Video! Hooray!